Concrete and Cement operations have their own special set of equipment, and therefore their own unique set of potential problems that require the use of JADCO products. In concrete, most of the aggregate material that is used is found in the form of fine crushed stone, sand, and gravel. To condition the aggregate material, crushing equipment is often used to make the material suitable for mixture. Crushers are vulnerable to significant amounts of wear from impact and abrasion. Steady contact at a high force with hard and coarse material makes impact especially an important concern. One problem JADCO often provides a solution for is creating liners for first and secondary crushers. First and secondary crushers deal with the coarsest material, while tertiary crushers will then deal further reducing the material to finer gradations. Since primary and secondary crushers deal with the coarsest material, they have the biggest issue with impact and abrasion and require the most protection. 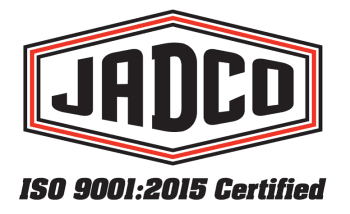 To combat the issue of abrasion, JADCO offers a supply of mill liners and crusher liners that serve to increase wear life and improve the overall functional life of the equipment. JADCO also has its own supply of crushers available. In addition to crusher problems, concrete and cement mills will also experience issues with hoppers and mobile equipment. Whether you are experiencing issues with your plant equipment or your mobile equipment we are confident we can help get you the protection you need to minimize downtime and maximize your efficiency.